Barely 10 days after the WrestleMania 34, WWE has already announced a huge rematch at the upcoming Greatest Royal Rumble. AJ Styles and Shinsuke Nakamura were involved in the WWE Championship match in one of the most anticipated matches at Mania. While AJ Styles emerged victorious, the match was not as good as expected. The WWE Universe was visibly dejected with the performance during the match. AJ Styles and Shinsuke Nakamura have always shared astonishing chemistry. They are renowned for putting up unbelievable performances since their days at NJPW. 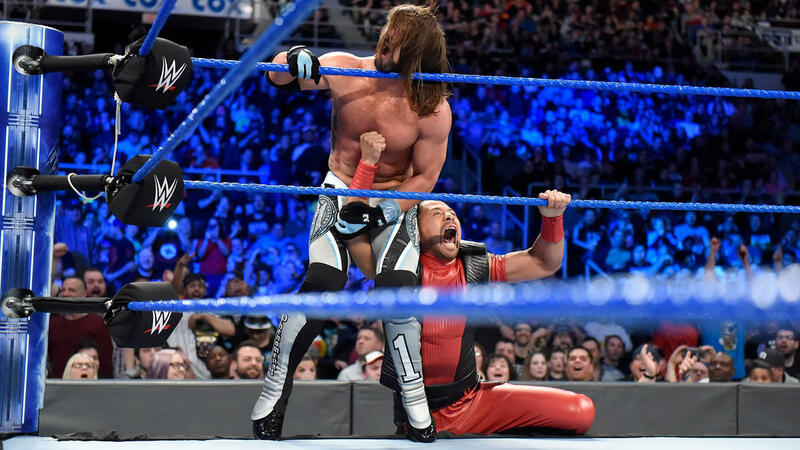 It appears that despite the poor outcome of the first match between AJ Styles vs. Shinsuke Nakamura, WWE officials are still hoping for the superstars to recreate their old magic. WWE took to social media and their official website to announce WWE Championship match at the upcoming Greatest Royal Rumble on April 27. Shinsuke Nakamura was involved in a rivalry with AJ Styles shortly after his arrival in WWE. However, the King of Strong Style turned heel recently after losing at WrestleMania 34. He has been attacking the Phenomenal One with low-blows and sneaking attacks ever since. Things have become more exciting after this heel turn. AJ Styles had until now always respected Shinsuke Nakamura as a competitor, which may not be the case this time around. As reported by Inquisitr, there is a possibility that the WWE Championship will change hands as officials are keen on pursuing the heel Nakamura character. The rematch could also be the part of a larger scheme of things aimed at further deepening the rivalry between AJ Styles and Shinsuke Nakamura. The Greatest Royal Rumble will take place at King Abdullah International Stadium in Jeddah, Saudi Arabia. The event is quickly turning out to be one of the greatest events in the history of WWE. The AJ Styles vs. Shinsuke Nakamura match is an addition to a match card already filled with some exciting matches. As of writing, the match card at the Great Royal Rumble is as follows.